Halloween is just around the corner. A great time of year for a haunted house party. Luckily, in the north, the chilly fall temperatures, increasing winds, and dark evenings are the perfect backdrop to a haunted house party. 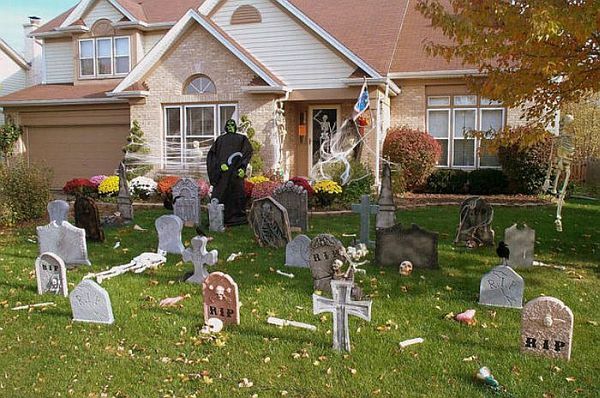 With a little planning, a host can create a ghoulish, scary setting complete with frightening decor, creepy snacks, haunting music, and fun activities. A host’s first step in planning a haunted house party is to mail a spooky, hand written invitation. Fun, mail delivered notes are much more likely to excite your guests than a facebook, or twitter invite. Here are several ideas on how to throw a brilliant haunted house party. How to set the perfect thanksgiving dinner Table! The Thanksgiving table takes centre stage of this special, secular holiday. The Thanksgiving table setting is the first impression guests get of this highly anticipated meal. Taking time to plan and set your table, ideally the night before, will ensure a festive and beautiful table setting for your wonderful Thanksgiving feast. The first step in planning your Thanksgiving dinner table is to decide on a colour theme. Warm, rich colours, like deep reds, harvest yellows and burnt oranges, are good choices for the Thanksgiving table. The colour theme must also complement your dining room’s decor. Read on for more simple, but elegant ideas on setting the perfect Thanksgiving dinner table!